"Never Settle" is about understanding our users root problems and making the best product decisions to solve them. It's not about tipping the scale towards one extreme end, but rather finding how to create the best day-to-day experience. 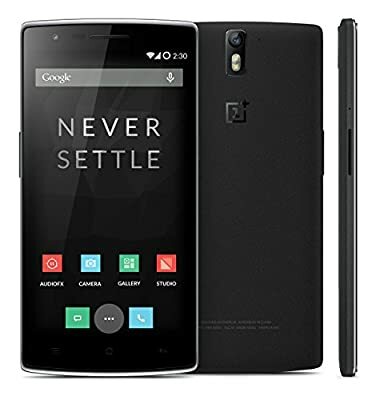 A fine integration of a number advanced technologies and features, the OnePlus One is designed for people who expect a power-packed performance from their devices. Compatible with 4G LTE networks, the device houses a powerful quad core processor to let you multitask and browse the web at lightning fast speeds. A stunning display leaves you amazed as soon as you lay your eyes on it. Apart from its functionality, the phone scores brownie points for its sleek and stylish looks as well. It comes in silk white and sandstone black colours and is available in memory configurations of 16GB and 64GB. What’s more, the device’s impressive battery makes sure you stay connected for an entire day. A set of great connectivity features equip this HD mobile phone to help you stay in touch as well as transfer and receive data. Apart from GPRS, you have the option of wirelessly connecting your device to the Internet through Wi-Fi 802.11 b/g/n/ac. Bluetooth and NFC can be used to wirelessly transfer data, while USB OTG allows you to directly plug in a flash drive to your phone. It also boasts Miracast, an attribute that lets you set up a wireless connection between this gadget and a compatible HDTV to view the phone’s content on the big screen. In addition to these, you get a micro USB 2.0 port for connecting your device to computers and laptops and a 3.5mm audio jack to make it compatible with earphones and portable speakers. 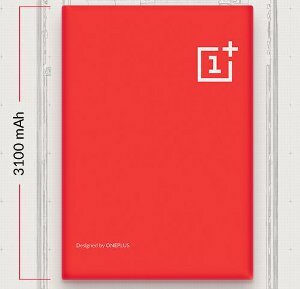 In spite of employing some powerful components, the OnePlus One can easily offer a battery life of an entire day, thanks to the 3100mAh power pack incorporated in it. You can expect the phone to stay operational for an entire day in between charges. Moreover, the battery is backed by CABC and DRAM technologies that keep the usage of the backlight in check. They can easily distinguish between dynamic and static content too, helping the phone consume less power and thereby boost its battery efficiency. The 5.5-inch mobile phone has a set of advanced components and attributes to make it easier for you to use this device. 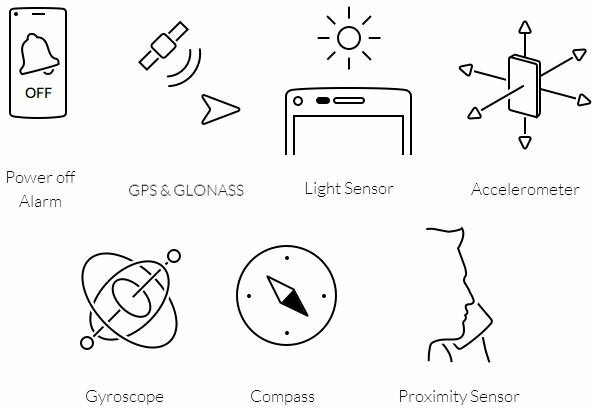 It incorporates GPS and GLONASS, which allow you to navigate your way through locations without getting lost. The Power Off Alarm is a convenient feature that makes sure your alarm goes off at the right time, even if your phone is switched off. Sensors like accelerometer and gyroscope detect the orientation of the phone and even track its rotation to change the orientation of the screen. This phone features a compass to facilitate navigation, while the light sensor detects the ambient light to alter the brightness. A proximity sensor is also integrated on the touch panel to help you avoid accidental taps on the screen, while you talk to someone. 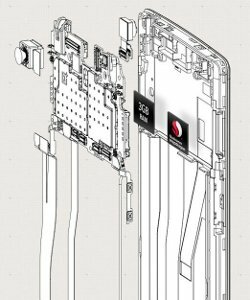 Multitasking on this 13MP camera phone will be an absolute delight considering that the device is powered by the quad core Qualcomm Snapdragon 801 chipset that ticks at 2.5GHz. It adopts the heterogeneous computing approach, supports multiple applications at the same time and extends support to the 4G LTE network. The Adreno 330 GPU accompanies the processor and enhances the graphics performance of the device. Also, the 3GB DDR3 1866MHz RAM ensures smooth navigation between applications. 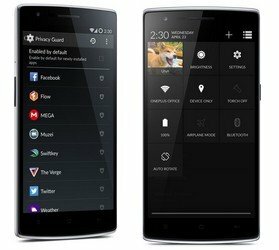 This OnePlus One mobile’s multi-touch IPS screen measuring 5.5 inches diagonally is capable of delivering visuals in crystal-clear quality. Designed to deliver HD visuals at a resolution of 1920 x 1080 pixels, the JDI screen equipped with LTPS technology reproduces sharp pictures with colour accuracy. It offers a wide viewing angle of 178 degrees and the integrated TOL technology adds to the responsiveness of the touch panel. Additionally, the virtually shatterproof display is reinforced with a layer of Gorilla Glass 3 to resist unwanted and annoying scrapes and scratches. 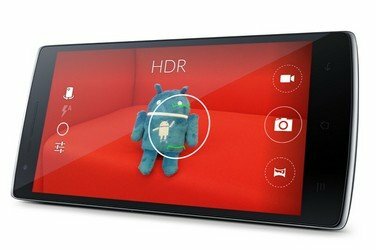 The OnePlus One features a 5.5-inch 1080p full HD JDI screen with LTPS technology for a higher pixel density and sharper picture. The IPS screen instantaneously responds to even the slightest touch with TOL (Touch On Lens) technology, which removes the distance between the touch sensor and the display panel. It also makes the screen 300% more shatterproof than OGS technology. Gorilla Glass 3 protects the screen against scratches and with 178 degree vision, you can enjoy it from just about any angle. Use the OnePlus One smartphone to capture all your special moments in the form of videos and still images. 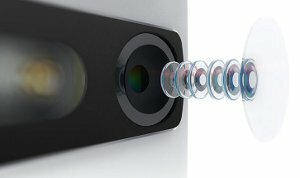 The rear camera of the device features a 13MP Sony Exmor IMX214 sensor with f/2.0 aperture to take stunning images even in low-light conditions. As 6 physical lenses are deployed in it, you can bid goodbye to problems like colour aberration and image distortion. HDR, Clear Image, LED Flash, autofocus and digital zoom are just some of its myriad features. Coming to the 5MP front camera, it has an extra-wide viewing angle of 80 degrees, making it apt for group selfies. We take pride in every detail of our product, even par, that are never seen. The OnePlus One was a labor of love, both ours and our users, and we honored that by letting no detail go unnoticed. When you hold your OnePlus One. you'll know every single piece was carefully chosen, placed and designed. Our custom cut and engineered PCB boards are specially dyed and treated with a matte black finish, with each part meticulously aligned to be visually pleasing and functional. 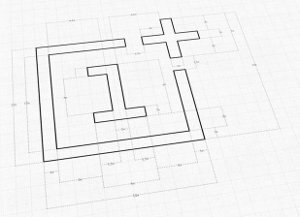 Even the most delicate inner components bear a OnePlus logo. Each piece is uniquely ours, and comes together to make a truly eye-catching device, inside and out. Packing a Qualcom, Snapdragon. 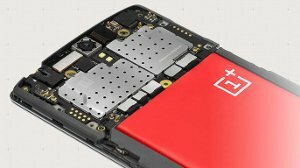 801 processor with 2.5GHz Quad-Core CPUs, the OnePlus One's operational capacity and performance are enhanced by Qualcomm's heterogeneous computing approach. This chipset harnesses the robust integration of many components for incredible speed and power efficiency. 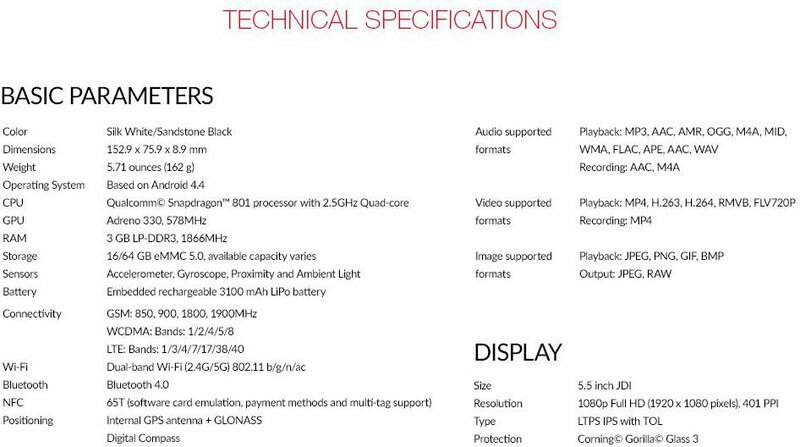 Among them, the custom Krait CPU architecture for sustained peak performance, integrated 4G LTE connectivity and Adreno 330 GPU for superior graphics and gaming experience, boosting 3D interfaces, colors and textures. Boasting a 13 megapixel Sony Exmor IMX214 camera with f/2.0 aperture, the OnePlus One camera takes amazing pictures even in low light conditions. Shoot anytime, anywhere for bright, sharp photos. Our camera boasts 6 physical lenses. Your photos will be more precise and detailed without suffering from distortion often caused by lower apertures.